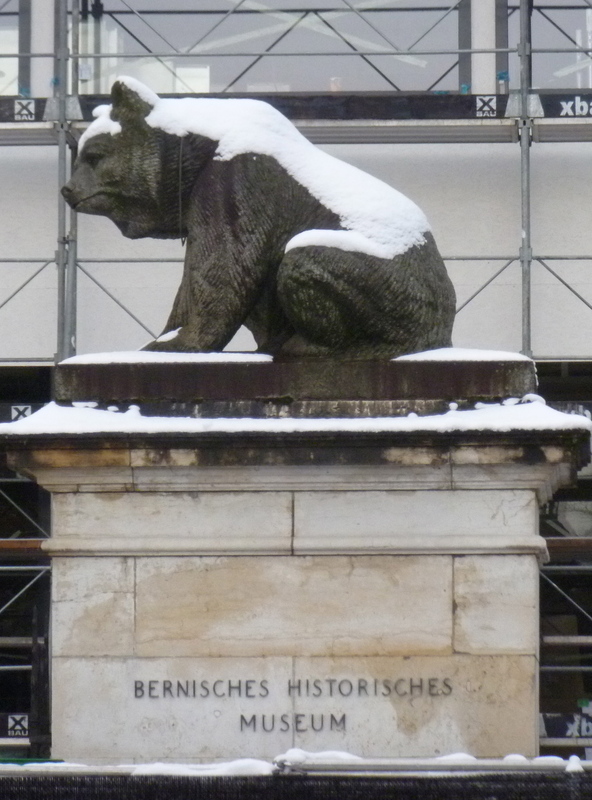 I’ve written about Bern and its bears here once before, about a year ago, when an article in the Independent prompted me to wander down Memory Lane not knowing, at the time, when I’d next make a visit there. The Old City of Bern is classed as a UNESCO World Heritage site and this is not surprising when you see it. It’s a beautiful city with lovely cobbled streets, beautiful architecture, famous shopping arcades with delightful, mostly ‘one-off’, shops but very far from being a museum-piece. It hosts lively markets and is busy and bustling. I love it. 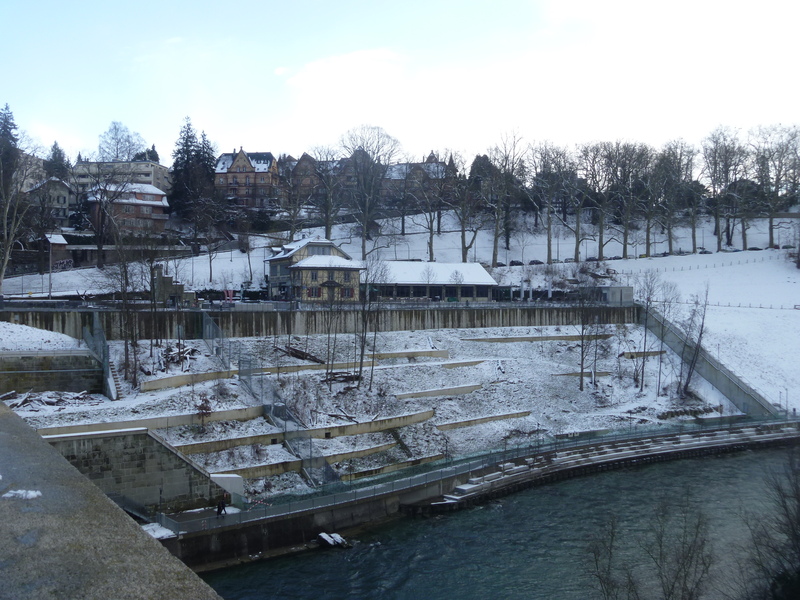 B had finally finished work for the week and early on Saturday we walked to the Old Town to shop at the market, have a coffee and walk along the arcaded streets down to the new ‘Bear Pits’ – or Garden, really – on the opposite bank of the River Aare. 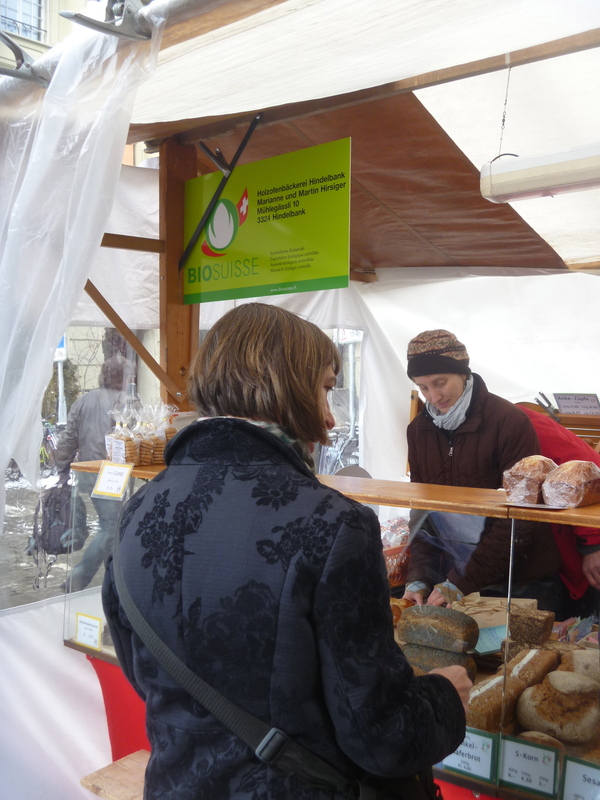 It was freezing cold and snowing but this didn’t stop anyone going about their business and the market (although very much bigger and busier in the summer months) was thriving. Warmed, we left the cafe to visit the bookshop over the street. Naturally, we browsed and chatted about the books and authors we saw and B ended up buying a book, which, had it been in English, I too would have succumbed to buying. 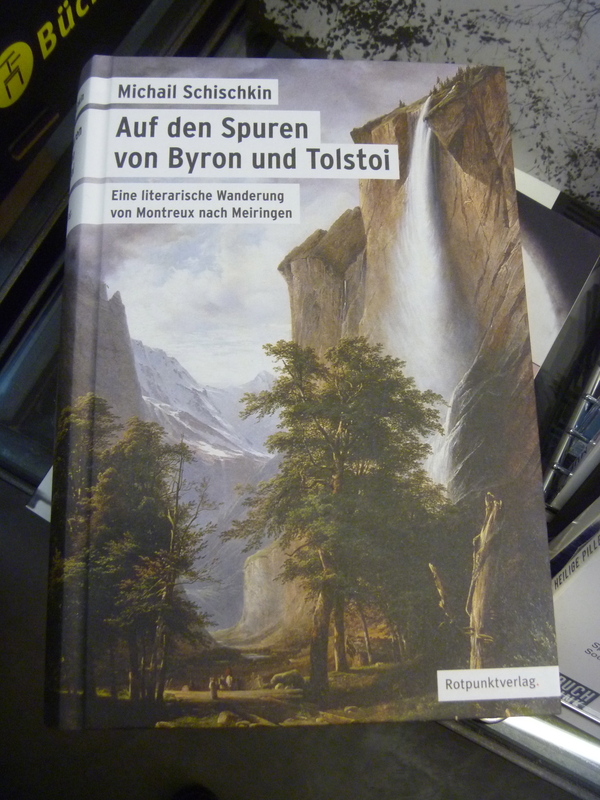 Translated the title is “On the track of Byron and Tolstoy: a literary hike from Montreux to Meiringen”. I’m hoping that in the spring B and P may put this reading into action and participate in at least some of this week-long hike and report back to me on its progress. From here we walked through arcades until we finally had a view of the Bernese bears new ‘garden’ no longer a pit but a very open area alongside the river – much more pleasant for both bears and visitors. Of course, the bears were sleeping so we didn’t catch sight of any. 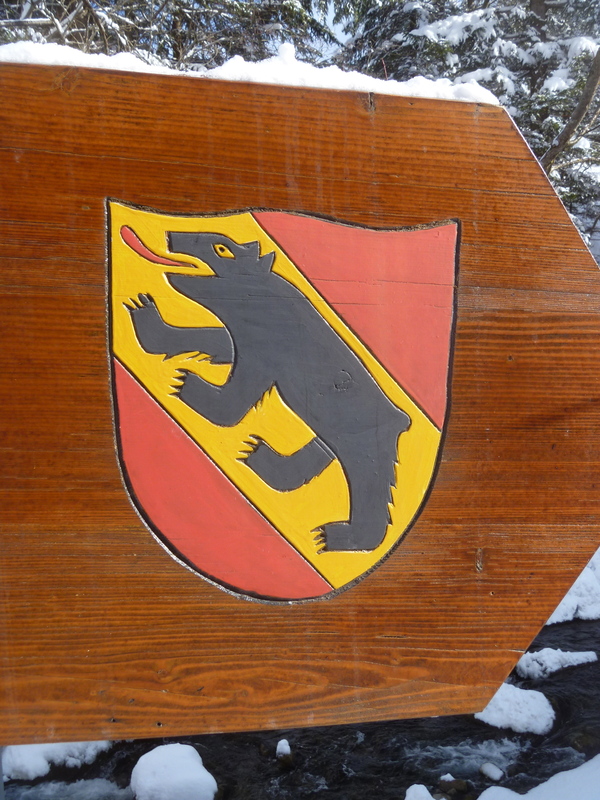 You won’t be surprised to see that bears turn up everywhere in the city and Canton of Berne. This entry was posted in Milady ventures overseas and tagged Book shops, Books, Switzerland, Tea Shops, UNESCO World Heritage Sites. 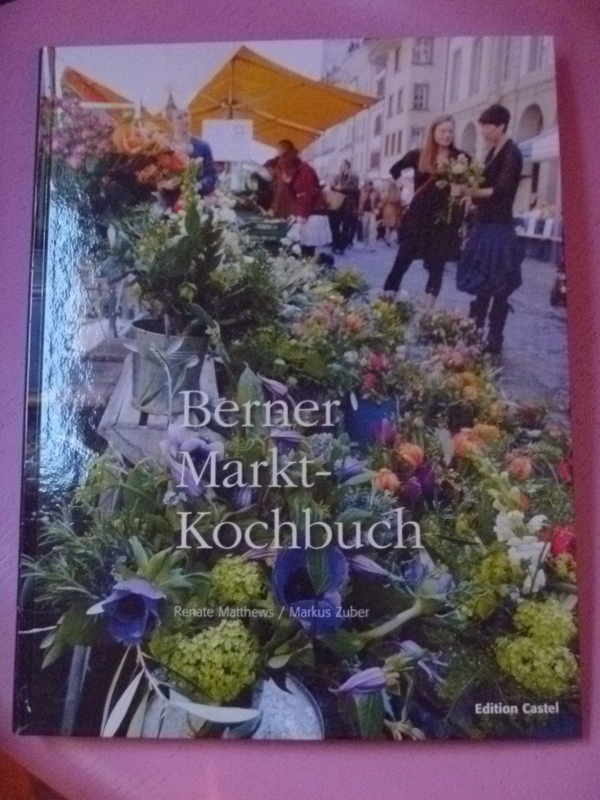 Thank you for bringing back happy memories – reading Mary Plain to my then 4 year old daughter, enjoying the markets and shopping of Bern. 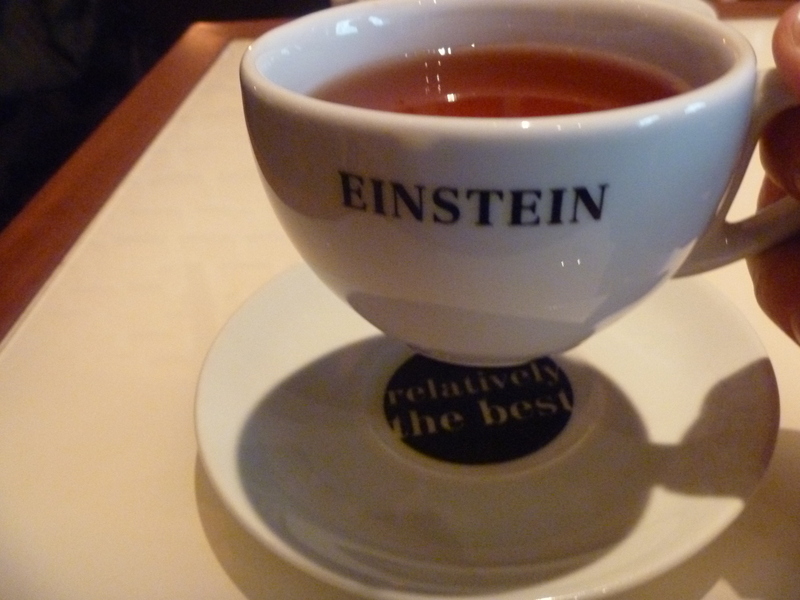 And of course the cafes! 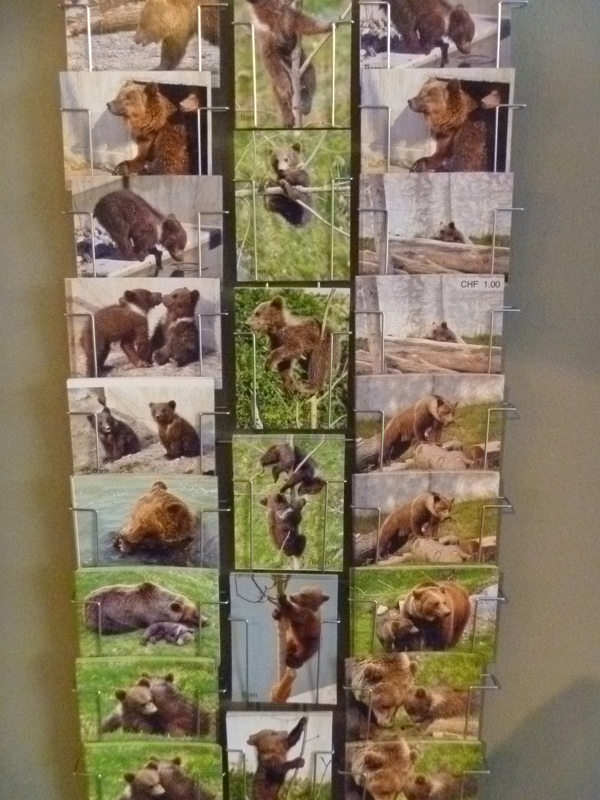 Isn’t the new area for the bears lovely too. I remember throwing carrots down the pit all those years ago and this looks so much more pleasant for bears and visitors alike as you say. Thank you for leaving a lovely comment, papg. I also enjoyed introducing my two sons to the joys of Bern and Switzerland when they were very young. Happy memories! Well Milady — very interesting. Our Swiss exchange student’s mother lives in Bern, so when next we visit I will have a long list of things I want to see and do. Hi, Julie. The train between Bern and Geneva passed through Düdingen station. I thought of you. Was I right to?? 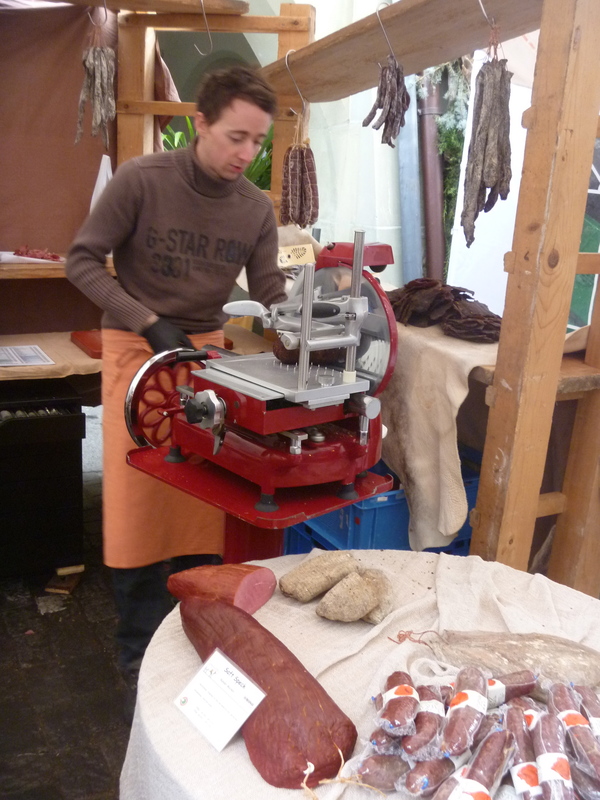 That market is just one of several the best (imho) being the monthly handicraft market by the Minster. Glad you enjoyed reading it! Yup — Dudingen. Michael and Ingrid (and their now two sons) now live outside Frieburg in Arconciel. 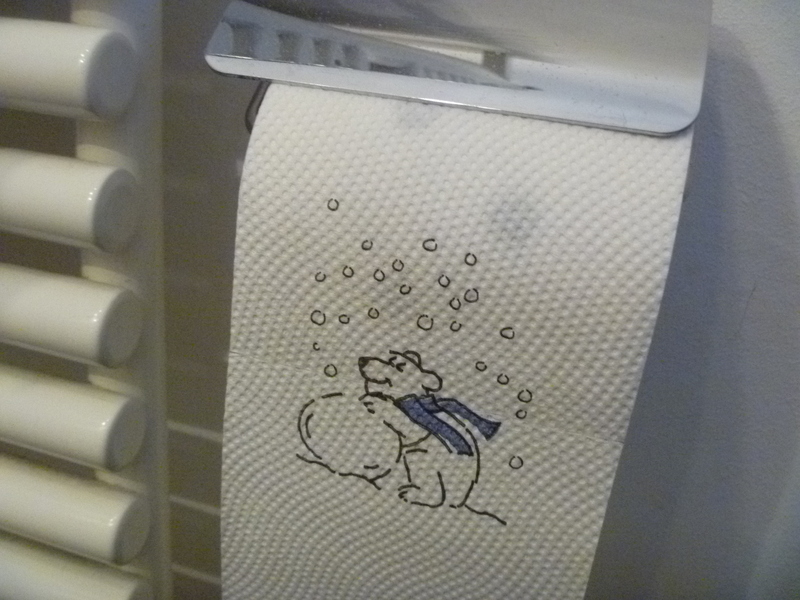 Yes, even your loo paper got in there :-)). Well, I was even gladder to be in yours!! Thanks again.